Vertical Bladder Tanks - SOS Safety International Inc. 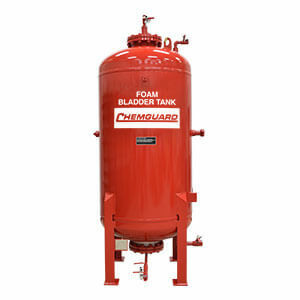 The CHEMGUARD bladder tank is a steel pressure vessel, which stores a foam concentrate within an elastomeric bladder. The concentrate is discharged from the tank by incoming water applying pressure to the bladder. The CHEMGUARD bladder tank is a steel pressure vessel, which stores a foam concentrate within an elastomeric bladder. The concentrate is discharged from the tank by incoming water applying pressure to the bladder. This applied energy is transferred to the concentrate, supplying pressurized concentrate to the proportioner (Proportioners are separate items described on a separate data sheet). CHEMGUARD bladder tanks are available in vertical models up to 2,000 gal (7,571 L). All models feature top discharge foam concentrate connections, right and left hand water inlet connections, and the option to pipe using either grooved or NPT threaded connections. Adapters for flanged connections are available separately. Trim piping is available in brass or stainless steel. All valves are clearly identified by permanently attached nameplates and can be secured in position with included ring pins and tamper seals. All CHEMGUARD bladder tanks feature a high-build epoxy internal coating. Exterior paint is available in two grades: Standard and Corrosion-Resistant Epoxy (Epoxy CR). Paint systems used on CHEMGUARD bladder tanks have been subjected to and passed salt spray corrosion testing per ASTM B117-90. Standard paint has been tested to a minimum of 240 hours in accordance with UL 162, UL Subject 139, and FM 5130. Epoxy CR paint has been tested to a minimum of 3,000 hours and is suitable for marine and offshore use. Vertical tanks are supported on four legs with foot plates and slotted holes for mounting. Refer to dimensional drawings for mounting hole spacing. Each tank is fitted with two lifting lugs designed to lift the empty weight of the tank with a minimum safety factor of 2 when utilizing appropriate slings rigged at a lifting angle of not less than 30 degrees from horizontal. All lifting lugs have a minimum clear hole size of 2 in. (50 mm). CHEMGUARD bladder tanks contain an elastomeric bladder that has been approved for use by Underwriter’s Laboratory and FM Approvals for use with CHEMGUARD foam concentrates. All CHEMGUARD bladder tanks utilize center tubes to facilitate agent discharge. 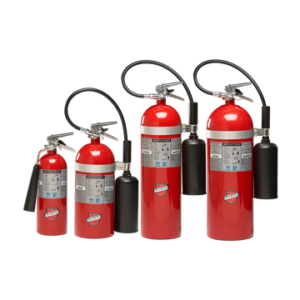 Center tubes are constructed of materials compatible with CHEMGUARD foam concentrates. Vertical tanks utilize a single center tube. A sight gauge is available as an optional accessory for CHEMGUARD bladder tanks for estimation of the fill level in the tank. The sight gauge is equipped with a clear 1 in. PVC tube. The sight gauge is shipped as a loose item and must be assembled on the tank during installation. A thermal relief valve is available as an option for CHEMGUARD bladder tanks. A thermal relief valve should be used when the bladder tank will be stored in an isolated/hydraulically locked condition in order to relieve pressure due to thermal expansion. This valve is factory set to 175 psi (12.1 bar) and it is recommended that the design pressure of the system be maintained at least 5 psi (0.34 bar) or 10% below the set pressure of the valve to avoid seat leakage and early valve maintenance. This valve is NOT a substitute for a properly sized ASME pressure relief valve to protect the entire system from overpressure. The CHEMGUARD Vertical Bladder Tank is designed and constructed in accordance with the latest revisions to ASME Code Section VIII, Division 1 for unfired pressure vessels with a maximum allowable working pressure (MAWP) of 175 psi (12.1 bar) and tested to the pressure specified by the applicable codes and standards. Tanks designed to ASME code are tested to at least 230 psi (15.9 bar). 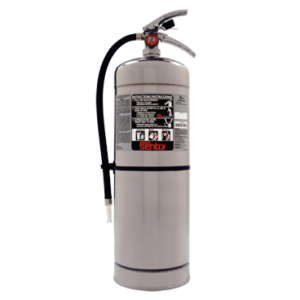 CE marked tanks are tested to at least 255 psi (17.6 bar). All CHEMGUARD bladder tanks are constructed of steel complying with ASME specifications. Tank heads are 2:1 elliptical unless otherwise specified. All CHEMGUARD bladder tanks include a permanently affixed stainless steel ASME data plate. At a minimum, the data plate includes the following information: year of manufacture, maximum allowable working pressure (MAWP), nominal volume, part number, National Board number, minimum material thickness, minimum design metal temperature (MDMT), and type of head used. The CHEMGUARD Bladder Tank is one component of a balanced pressure proportioning system. CHEMGUARD Bladder Tanks require only a pressurized water supply for operation. No other external power is required. They can be used with one or more CHEMGUARD proportioners and any suitable discharge device to create a complete foam system. CHEMGUARD Bladder Tanks can be used with most CHEMGUARD foam concentrates. CHEMGUARD bladder tanks have numerous applications including aircraft hangars, foam-water sprinkler systems, truck loading racks, and helipads. CHEMGUARD bladder tanks are UL Listed and FM Approved for use with various CHEMGUARD foam concentrates and proportioners. The UL mark and FM Approval diamond are applied at the factory along with a label identifying the CHEMGUARD foam concentrate for use in the tank. Every tank bears a permanently affixed ASME data plate showing the National Board number which identifies the tank as compliant with ASME code Section VIII, Division 1 for unfired pressure vessels. CHEMGUARD bladder tanks 200 gal (757 L) and larger are CE marked in conformance with the European Pressure Equipment Directive, 2014/68/EU. Under European Pressure Equipment Directive 2014/68/EU, tanks smaller than 200 gallons are acceptable based on sound engineering practices of ASME code and cannot be CE marked. CHEMGUARD bladder tanks up to 800 gal (3,028 L) meet the minimum requirements for Seismic Zone 4 Earthquake Resistant Design as calculated according to the 1997 Uniform Building Code.